This English author made his name scripting American comic books such as Black Orchid (1989), The Books of Magic (1993) and Death: The High Cost of Living (1993), but he has also worked in a wide variety of other forms. Good Omens (1990), a humorous fantasy written in collaboration with Terry Pratchett, became a bestseller, and Neverwhere (1996) was produced as a bbc television series. Gaiman has now produced American Gods (2001), an epic story about the struggle of mythological archetypes to survive in the rational modern world. 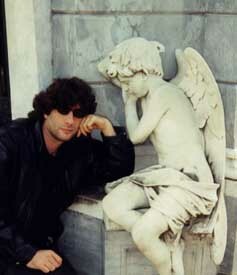 The novel reinterprets some of the themes of Sandman (1990-96), his best-known work. This long-running and ambitious comic-book series charted the final years of Morpheus, the son of Sleep in Classical mythology. Also known as Dream, this brooding character is one of the Endless, a family of seven archetypal figures including Destiny, Desire, Delirium, Destruction, Despair and Death. Norman Mailer called Sandman, ‘A comic strip for intellectuals and I say it’s about time.’ One episode involving William Shakespeare, ‘A Midsummer Night’s Dream’, broke new ground by winning the World Fantasy Award for Best Short Story in 1991. The novel tells the story of Shadow, a troubled ex-convict who has lost his wife and best friend under suspicious circumstances just days before his release from prison. Cut adrift in the Midwest, he is employed by Mr Wednesday, an itinerant con artist with supernatural powers who claims to be the king of America. The mismatched pair travel across the United States to an apocalyptic battle involving the old, abandoned gods who have no more worshippers and are reduced to a twilight existence. The novel is a compelling vision of the persistence of mythology and dreams, invoking forgotten parts of the history and landscape of America. Gaiman does not see it as an attempt to storm the impregnable fortress of the Great American Novel, but concedes that his move from the uk to Minnesota might have driven him to write a great American immigrant novel. 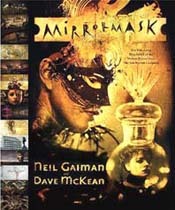 Although he had written several non-fiction books in the mid-eighties, Violent Cases (1987), illustrated by cutting-edge artist Dave McKean, announced him as an exciting and original voice in British fantasy writing. This graphic novel is an powerful evocation of childhood memories and fantasies, in which both stage and occult magicians, as well as Chicago gangsters, coexist in an English small-town setting. Nevertheless, he continues to test the limits of his creativity. ‘I suppose a lot of that is because I think of myself as a storyteller and I try and exploit whatever medium I’m into. I never thought of myself as a comics writer. I thought of myself as a storyteller using a medium I happened to delight in. It’s an embarrassing confession to make now I’m a New York Times bestselling author – which in America is a terribly important thing – but I don’t consider myself a novelist and I don’t really consider myself a bestseller. I think of myself as a storyteller who’s written a novel which did ok. He still tries to keep up with the work of the other comics writers whom he respects, many of whom are Scottish, like Glaswegian Grant Morrison. ‘I think that Grant is the best of all the Scottish writers,’ he says before remembering many of the other Scots who have worked for Britain’s own science fiction comic 2000 AD, the home of Judge Dredd. For The Sandman: Book of Dreams (HarperPrism, 1996) Neil Gaiman invited leading fantasy writers to write stories based on his Sandman world. The overly commercial side of comic collecting is not something that Gaiman is comfortable with, even though his own work is highly prized. ‘The first hardback edition of Season of Mists (1992) – as long as it’s not the Book Club edition, which is almost identical – goes for ridiculous prices, $150, $200 dollars. I don’t actually like that very much. I’m essentially quite pleased that prices have been coming down because lots of people have been selling their collections – and they’re then able to buy the trade paperbacks with the proceeds, plus something else they want. I like that because I never felt that I was dealing in collectables, I was trying to create stories. Despite his feelings, Gaiman is not immune to the bug. ‘I’m only a book collector myself in a very small way and, even then, I’m not a first edition collector. The problem is, some of the books I want, by authors like James Branch Cabell, only exist in ‘collectable’ form. Some of his books only came out in signed editions or in tiny print runs in 1905 and you have to have them. I have a wonderfully impressive James Branch Cabell collection and I’m very happy to have it. ‘I was rather disappointed when I wrote a letter to an author named Nelson Bond, who, oddly enough, I remembered from my childhood. He wrote the classic Mr Mergenthwirker’s Lobblies and Other Fantastic Tales (1946). Bond was also Cabell’s literary executor and, in a small way, a Cabell dealer. I wrote to him and he sent me a list. I went through it, gradually realizing that I actually did have absolutely everything on this two-page list!